The experienced criminal defense attorneys at Elder Brinkman Law are ready to legally represent you if you have been charged with a crime. Our battle-tested trial lawyers will do everything in their power to ensure that your rights are upheld and that you receive the best defense available. If you are facing misdemeanor or felony charges with the potential to serve time in prison, you cannot settle for second best! When your freedom is at risk, you need a proven criminal defense team standing next to you every step of the way. Learn more about criminal law here. Our health care lawyers specialize in handling litigation for anti-kickback and Stark II matters, false claims and Medicare fraud. In addition, our experienced and knowledgeable health care attorneys have successfully dealt with complex ­ related regulatory issues such as licensure and certification matters and health care insurance provider audits, along with regulatory false claims investigations and anti-kickback and Stark II situations. Learn more about health care law here. The family law attorneys at Elder Brinkman Law provide clients with clear-cut solutions and straightforward answers. Through personalized counsel and aggressive representation, our divorce and child custody lawyers will fight for you and your best interests. Learn more about family law here. When dealing with divorce, knowing where to find answers can be time consuming and frustrating. The expert divorce attorneys at Elder Brinkman Law will provide advice, support and counsel when you need the right answers. Throughout this process, many individuals overlook the imposing legal and financial issues headed their way because they lack the support of an aggressive and competent divorce attorney. Learn more about divorce law here. The knowledgeable employment law attorneys at Elder Brinkman Law are skilled business litigators specializing in employment disputes involving wrongful termination, breach of contract, non-compete, confidentiality and severance agreements, harassment and civil rights claims. Learn more about employment law here. At Elder Brinkman Law, we meet with our clients to gain an understanding of short and long-term goals with regard to their estate planning. After we meet with our clients, the attorneys at Elder Brinkman Law create a plan specifically designed to suit your estate planning goals. Learn more about estate planning law here. Experienced business owners know firsthand the value of working with attorneys who know the law and know how to get things done. If the future of your small business or large corporation is on the line —you need the business law attorneys at Elder Brinkman standing with you each step of the way. Our skilled attorneys and trial lawyers will help you navigate the complex and volatile laws that affect your business to ensure that your company continues to move forward. Learn more about corporate/business law here. The experienced personal injury attorneys at Elder Brinkman Law specialize in personal injury law and a wide range or corresponding legal issues related to accidents, negligence, insurance and workers compensation. Our Michigan personal injury attorneys know that dealing with a personal injury can be frustrating, stressful and expensive — so we are ready to help you get the financial compensation you deserve. 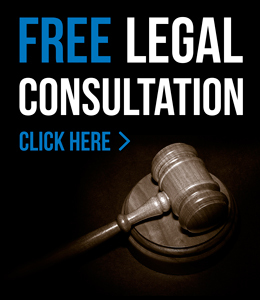 Learn more about personal injury law here. Thanks to the Internet, anyone can easily uncover your past mistakes. Fortunately, the expungement law specialists at Elder Brinkman Law have helped individuals throughout Michigan to expunge their records — or erase those mistakes so that they can move on with their lives. We can even help you to erase a past conviction. Learn more about expungement law here. If you have been arrested for a DUI, our expert drunk driving attorney will offer you honesty, integrity and the experience you need when defending you in your Michigan DUI case. Our attorneys will aggressively defend and protect your rights — and our courtroom experience will make the difference in your DUI case! Learn more about drunk driving law here. Numerous civil rights laws in Michigan and the United States prohibit discrimination based on age, disability, gender, race, national origin and religion. These laws cover individuals in the workplace, public accommodations, schools, housing and voting. Learn more about civil rights here. With the rapid growth of the elderly population and an increasing life expectancy, Elder Brinkman’s medical malpractice attorneys encounter a growing number of negligence claims against assisted living facilities. Learn more about assisted living law here.